Lead-acid batteries are used on a mass-scale in all parts of the world for energy storage. 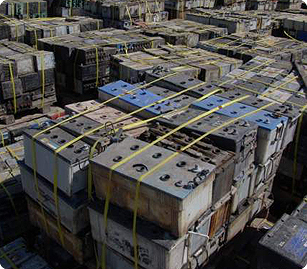 Lead-acid batteries contain sulphuric acid and large amounts of lead. The acid is extremely corrosive and is also a good carrier for soluble lead and lead particulate. Lead is a highly toxic metal that produces a range of adverse health impacts particularly among young children. Exposure to excessive levels of lead can cause damage to brain and kidney, impair hearing; and lead to numerous other associated problems. On average, each automobile manufactured contains approximately 12 kilograms of lead. Around 96% lead is used in the common lead-acid battery, while the remaining 4% in other applications including wheel balance weights, protective coatings and vibration dampers. 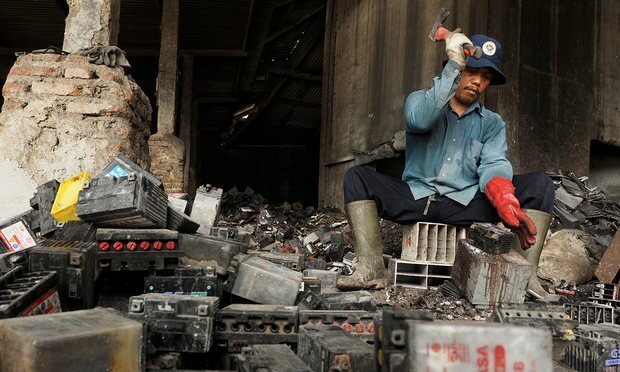 Recycling of Lead-Acid Batteries is a profitable business, albeit dangerous, in developing countries. Many developing countries buy used lead-acid batteries (also known as ULABs) from industrialized countries (and Middle East) in bulk in order to extract lead. ULAB recycling occurs in almost every city in the developing world where ULAB recycling and smelting operations are often located in densely populated urban areas with hardly any pollution control and safety measures for workers. Usually ULAB recycling operations release lead-contaminated waste into the environment and natural ecosystems. Infact, Blacksmith Institute estimates that over 12 million people are affected by lead contamination from processing of Used Lead Acid Batteries in the developing world, with South America, South Asia and Africa being the most affected regions. The problems associated with recycling of ULABs are well-documented and recognized by the industry and the Basel Convention Secretariat. As much of the informal ULAB recycling is small-scale and difficult to regulate or control, progress is possible only through cleanup, outreach, policy, and education. For example, Blacksmith’s Lead Poisoning and Car Batteries Project is currently active in eight countries, including Senegal, the Dominican Republic, India, and the Philippines. The Project aims to end widespread lead poisoning from the improper recycling of ULABs, and consists of several different strategies and programs, with the most important priority being the health of children in the surrounding communities. Lead poisoning, from improper recycling of used batteries, impacts tens of millions of people worldwide. There is no effective means of tracking shipments of used lead-acid batteries from foreign exporters to recycling plants in developing world which makes it difficult to trace ULABs going to unauthorized or inadequate facilities. An effective method to reduce the hazards posed by trans-boundary movements of ULABs is to encourage companies that generate used lead batteries to voluntarily stop exporting lead batteries to developing countries. These types of voluntary restrictions on transboundary shipments can help pressure companies involved in recycling lead batteries in developing to improve their environmental performance. It may also help encourage policy makers to close the gaps in both regulations and enforcement capacity. Another interesting way is to encourage regeneration of lead-acid batteries which can prolong its life significantly. The advantage of battery regeneration over regular recycling is the reduced carbon footprint incurred by mitigating the collecting, packing, shipping and smelting of millions of tonnes of batteries and their cases. Most importantly, it takes about 25kWh of energy to remake a 15Kg, 12V 70Ah battery and just 2.1KWh to regenerate it electronically. Entrepreneurship in solid waste management can be instrumental in environment protection, decentralization, economic restructuring and job creation. Entrepreneurial opportunities in solid waste planning are available in the areas of waste collection, handling, sorting, storage, transport, transformation and energy recovery. Entrepreneurship begins with the generation of an idea and culminates in realization of the project objectives. Historically, the improvement of waste management services by the public sector has been hampered by lack of funds in both developed and developing nations. Entrepreneurs can not only invest money in solid waste management sector, but also infuse new ideas, technologies and skills which can transform waste from being a liability into an asset. 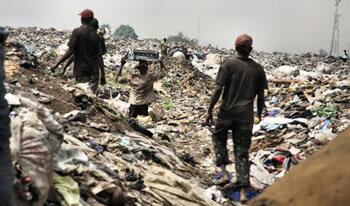 The efficiency of solid waste management increases with the involvement of entrepreneurs. Infact, it has been observed that involvement of entrepreneurs in solid waste management planning can reduce the service cost by half in Latin American cities with higher employment generation and vehicles productivity. Entrepreneurial ventures in solid waste management can range from a one-man project to a mega-scale project involving thousands of skilled and unskilled workers. It has been observed that solid waste management is a labour-intensive process with tremendous potential to generate new jobs, depending on the type of project and the level of creativity. The major areas of entrepreneurial involvement include waste collection, transportation, reuse and recycling, upcycling and power generation. 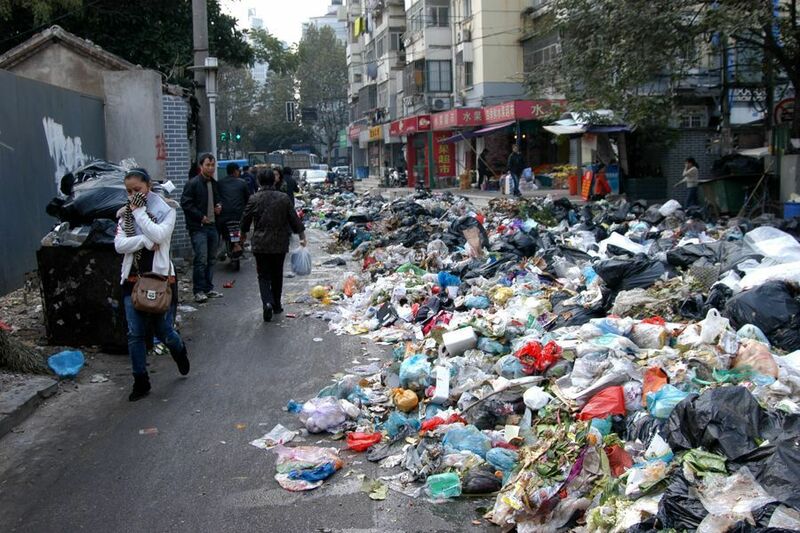 According to the World Bank, municipalities in developing countries typically spend 20 to 50 per cent of their annual budget on solid waste management, but only 40 to 70 per cent of solid waste is collected and less than 50 per cent of the population has access to municipal waste collection services. Solid waste planning is an integral component of urban development as it contributes to public health, resource conservation and environment protection. Scientific disposal of domestic waste can prevent environmental degradation and harmful public health impacts while recycling can help in conservation of precious natural resources. Entrepreneurial activities in solid waste collection can not only increase waste collection efficiency but also improve waste management services for the marginalized sections of the society. An excellent example is the case of Nigeria-based Wecyclers which is aiming to building a low-cost waste collection infrastructure in Lagos by offering cheap and convenient domestic waste recycling services using a fleet of cargo bikes. Waste management is an important tool for curbing climate change and for keeping our environment clean and healthy. Methane generated from biodegradable wastes is a powerful greenhouse gas, and when it’s not captured and used as a fuel it contributes to rapid warming of the atmosphere. 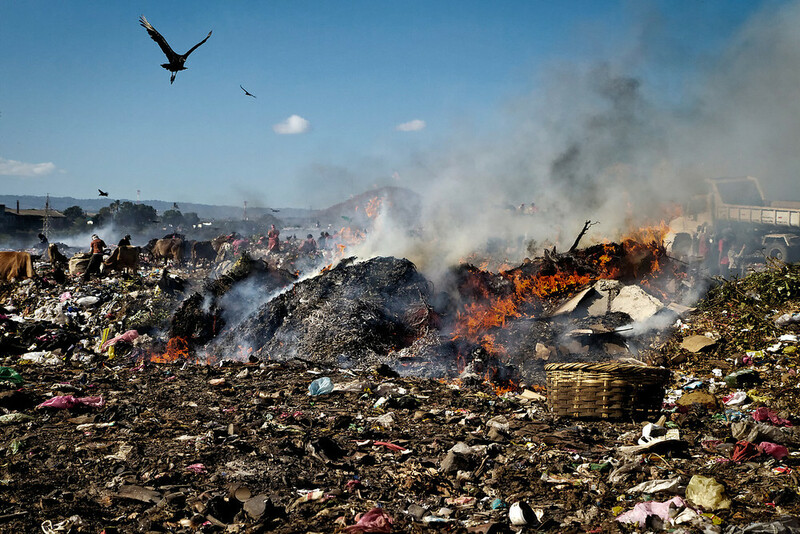 Estimates suggest that biodegradable waste in dump sites and uncapped landfill sites are contributing far more methane to the atmosphere than previously thought. What’s more, urban food waste is predicted to increase by 44% from 2005 to 2025, and with no proper management in place, will significantly add to global greenhouse gas emissions. Worryingly, 38 of the world’s 50 largest dumps are close to the sea, contributing to marine and coastal pollution. The accumulation of plastics in the marine food chain is causing global concern. While we don’t yet know how to clean the oceans, stemming the flow of waste into marine environments would be a step in the right direction. 40% of the world’s waste ends up in open dumps. These aren’t even what you’d call “landfill”. They don’t have any impervious lining to prevent noxious leachate from entering the surrounding environment, nor are they capped to prevent the spread of disease. In fact, in India, the Philippines and Indonesia, the health risk from open dumping of waste is greater than the risk of malaria[i]. 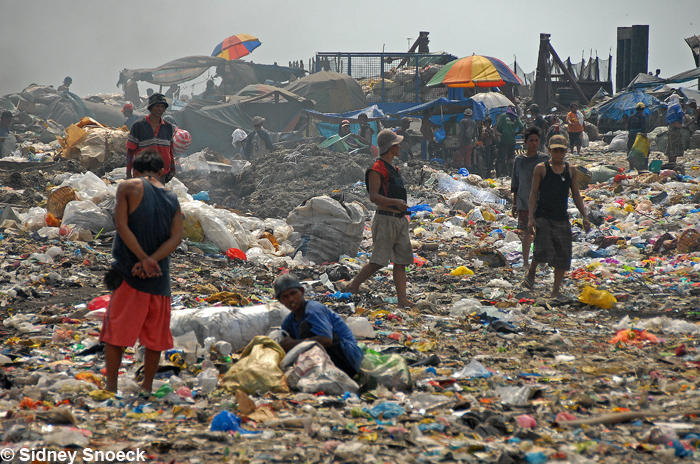 3.5 billion people in the world lack access to proper waste management. That figure is expected to grow to 5 billion by 2050. 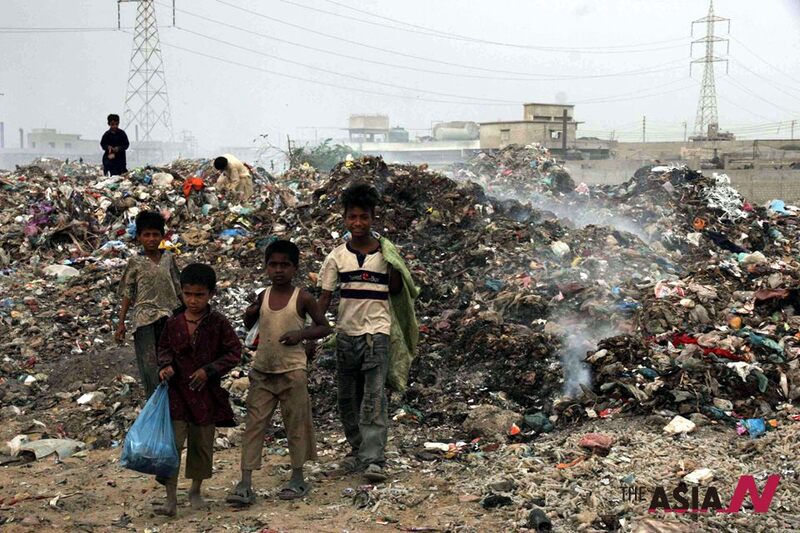 Respiratory diseases, gastrointestinal diseases and occupational health risks add to the misery experienced by the 50,000+ people living from open dumps. Waste is any material that is no longer wanted for its original purpose. The owner doesn’t have a need for it, and so discards it. Even valuable items can and do end up as waste purely because someone has thrown them away. The recent (and rather brilliant) BBC programme Hugh’s War on Waste shone the spotlight on attitudes towards disposable fashion. A look through the bins of a typical street uncovered a startling amount of clothing that had been thrown away, despite it still being in perfectly good condition. This highlights a simple fact: there is plenty of value in waste. Estimates suggest there are 40 million people globally who are making their living from waste – half of these are working informally. During the last recession in the UK, the waste management sector was one of the only industries to keep growing, resulting in it being termed the “Green Star of the Economy”. Showing people how to turn a waste stream into something valuable isn’t rocket science. There are lots of examples of informal, community-based, grassroots recycling and upcycling projects that generate wealth for the poorest in society. Internet is allowing simple waste processing techniques to be replicated all over the world, and helping make that information accessible is one of the most fulfilling aspects of my career. “Give a man a fish and he can eat for a day. Show a man how to fish and he can eat for the rest of his life.” Teaching people how to make valuable products from waste is important. But just as important, is passing on the business skills to be able to identify a market, factor in costs, check out the competition, market their products and run a successful business. Development work in the waste arena needs to address both sides of the coin, and in doing so will enable people to start up their own businesses, in their own communities, and generate wealth organically. That’s far more valuable than delivering aid in a ready-made package (which incidentally rarely works – there’s a great TED Talk on this topic by Ernesto Sirolli, called “Want to help someone? Shut up and listen”). The proliferation of megacities, particularly in developing countries, is causing a health crisis. 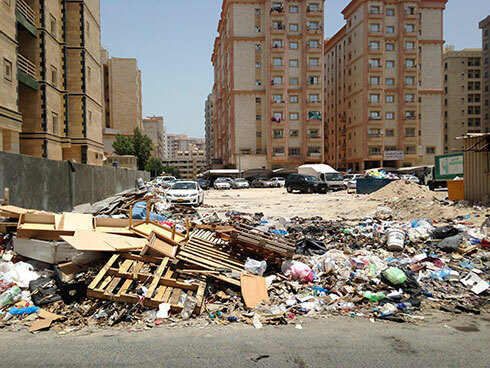 Decent waste management is an indicator of good governance – that is, if a council or government can collect taxes and provide a waste management service, then it most likely isn’t (very) corrupt. However, in many places where corruption or other forms of bad or weak governance prevail, top-down solutions are notoriously difficult to implement. 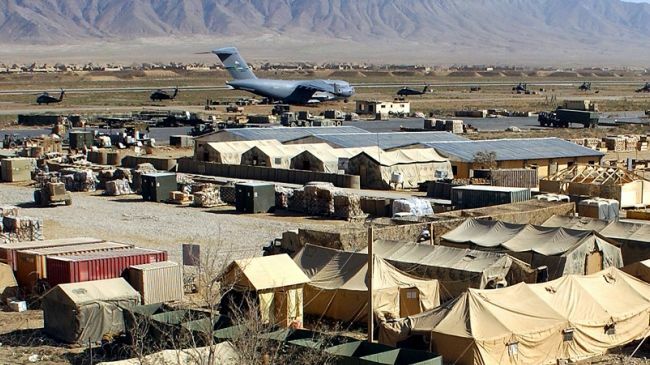 Often, when the world’s attention turns to an open dump, the government responds by closing it and the journalists go home. This is what happened with Smokey Mountain dumpsite in the Philippines (and many others around the world). All that happens is another open dump emerges nearby, and the scavengers move to the new site. The problem is that if there is no alternative solution in place, people will discard of their waste in the only ways available – dumping it or burning it; and the poor will follow the waste. Replacing an open dump with a government-controlled waste management system isn’t a silver bullet either. The losers, again, are the hundreds, and sometimes thousands of men, women and children who live from scavenging from the dump. It may seem horrific to many of us, but the truth is that if you take that opportunity to earn a paltry living away from the poorest in society, they will starve. Solutions need to be inclusive. To close dump sites, you need to have a workable alternative solution in place. You need to have regular waste collection taking place, and you need somewhere to take it. Building materials recovery facilities alongside existing open dumps is one idea. Informal waste pickers who are currently working in dangerous conditions on the dumpsite can gain employment (or better still, form a cooperative) sorting recyclable materials and reducing the amount of real “waste” that needs to be disposed of. For example, Wecyclers in Lagos, Nigeria employs people to cycle around collecting recyclable materials from households. In return for their source-separated waste, the householder receives a small reward. 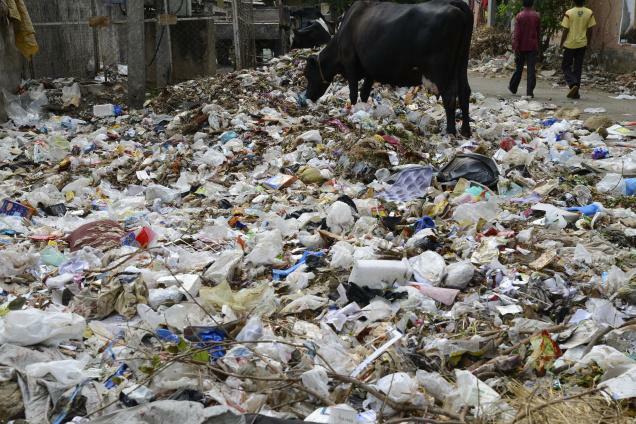 In Bangalore, IGotGarbage has harnessed the power of phone apps to enable people who were previously waste pickers to be called directly to a house to collect the waste materials. Solutions like this work because they continue to provide livelihoods for people, while taking waste off the streets. There will always be something left though: the stuff that really has little value other than the energy embodied in it. In industrialised countries, energy-from-waste incinerators have become popular. Seen as a clean alternative to landfill, these facilities burn the waste, release the energy, and convert it into heat, electricity and ash. Some of that ash (from the air pollution control system) still needs to be disposed of in specially-prepared hazardous waste landfill sites. The remainder, being fairly benign, can be used to make concrete building blocks. However, incinerators are fairly technology-heavy, rendering them unsuitable for many developing country contexts. A problem that we’ve witnessed is that waste management companies from industrialised nations try to wholesale their technology in developing countries. The technology is usually unaffordable, and even if the capital can be raised to procure a facility, as soon as something breaks down the whole solution can fall apart. There is a need for information about simple waste processing technologies to become more open-sourced. Smart future-thinking businesses could capitalise on selling blueprints rather than entire prefabricated facilities. Most of the time it’s far cheaper to fabricate something locally, and also means that when something breaks it can be fixed. 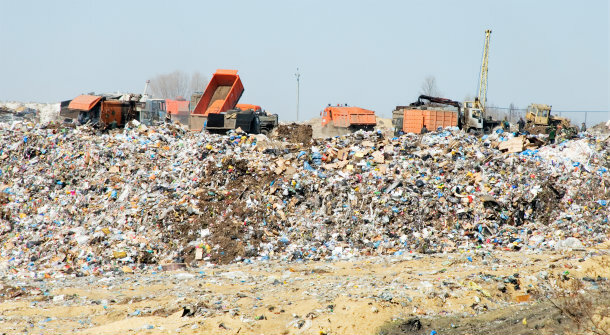 The fact is that in most cases, a standard, lined landfill site with landfill gas capture is still the most appropriate answer for non-recyclable waste. Add to that a well-organised, low-cost waste collection service with source separation of recyclable materials and biodegradable waste, and you have a relatively affordable solution that is better for the climate, better for health, better for the local economy, and contributes to a more sustainable future. 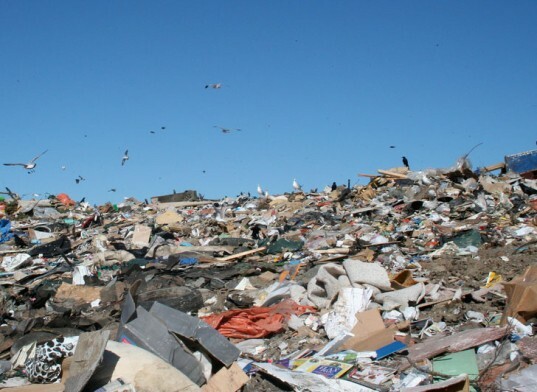 Landfill may seem very unfashionable to those of us who work in the recycling sector, but nevertheless it will remain a necessity both in developed and developing countries for the foreseeable future. Necessity is the mother of invention, and we are facing a waste crisis of unprecedented proportion. The potential for waste management in reducing GHG emissions has never been more pertinent. Waste and development practitioners, academics and entrepreneurs around the world are working together more and more to help bring about the change we want to see, which will benefit the billions of people suffering from poor waste management, and the rest of us who share a warming planet – and share the burden of climate change and poverty. By sharing knowledge through platforms such as beWasteWise and ISWA, and through initiatives like WasteAid, WASTE and Wiego, we can start making a dent in this very large problem. No silver bullets, but lots of small stepping stones in the right direction. Note: The original and unabridged version of the article can be found at this link. Please visit http://zlcomms.co.uk/ for more information about the author.